By accessing BP&R online on www.britishplastics.co.uk ("the Site") or by otherwise accessing any content found on this web site or by using any digital application edition of BP&R Magazine or other digital application published by BP&R Magazine (each a “Digital Application”), you are entering into an agreement with Rapid Plastics Media Ltd. ("RPM Ltd.") and agree to the terms that follow. The Site is owned and operated by BP&R Magazine. The contents and design of the Site, any Digital Application and any material e-mailed to you or otherwise supplied to you in conjunction with the Site and/or a Digital Application (such contents, design and materials being collectively referred to as the "BP&R Content"), is copyright of BP&R Magazine and its licensors. You may not use or reproduce or allow anyone to use or reproduce any trade marks (such as "BP&R Magazine" name and logo or other trade names appearing on the Site) for any reason without written permission from BP&R Magazine. All BP&R Magazine content is strictly for personal, non-commercial use only. - remove the copyright or trade mark notice from any copies of BP&R Content made under these Terms. Any use of BP&R Content not specifically permitted above is expressly prohibited. Requests for permission for other uses may be sent to Leanne Taylor at the above address. Certain areas or features of the Site and/or Digital Applications may only be open to registered users. You are solely responsible for the confidentiality and use of and access to BP&R Content and the Site and/or Digital Applications using your user name and/or password. You agree to immediately notify BP&R Magazine if you become aware of the loss, theft or unauthorised use of any password, user ID or e-mail address or of any BP&R Content. You will provide BP&R Magazine with accurate, complete registration information and inform BP&R Magazine of any changes to such information. For the purpose of confirming your compliance with these Terms, BP&R Magazine reserves the right to monitor and record activity on the Site and Digital Applications, including access to BP&R Content. Each registration and subscription is for your own use only. You may not share your log in details or password with any other person. You may not share or transfer your subscription. BP&R Magazine does not allow multiple users (networked or otherwise) to access the site and/or any Digital Edition through a single name and password and may cancel or suspend your access to the Site and/or a Digital Application if you do this without further obligation to you. Access to some BP&R Content may be subject to a fee. All payments (including any applicable taxes) must be made in advance in Sterling or other currency specified by BP&R Magazine. You are responsible for the payment of all charges associated with the use, by you or someone else, of the Site and/or a Digital Application using your ID. If your use of the Site is terminated by BP&R Magazine, you will be entitled to receive a refund of any credits or pre-payments which remain unused at the time of termination unless such use is terminated because you are in breach of these Terms. You will continue to be responsible for any fees or other charges you have incurred prior to such termination. You may be able to use the Site to purchase products or services from BP&RMagazine's third party partners. In that event, your contract for such products will be with the third party partner and not with BP&R Magazine. All refunds are at the discretion of BP&R Magazine. Any refunds can only be made to the credit/debit/charge card that was used for the original purchase. The Site and Digital Applications may include comments capability, bulletin boards, discussion groups and other public areas or features that allow feedback to BP&R Magazine and interaction between users and BP&R Magazine representatives ("Forums"). While BP&R Magazine does not control the information/materials posted to Forums by users (the "Messages"), it reserves the right (which it may exercise at its sole discretion without notice) to delete, move or edit the Messages and to terminate your access to and use of the Forums. By submitting Messages to any Forum you agree to indemnify and hold harmless BP&R Magazine from all claims, costs and expenses (including legal expenses) arising out of any Messages posted or published by you that are in breach of this section 5. BP&R Magazine has no control over individuals posting Messages on any Forum. BP&R Magazine cannot guarantee the accuracy, integrity or quality of any Messages. Some users may breach these terms and post Messages that are misleading, untrue or offensive. You must bear all risk associated with your use of the Forum and should not rely on Messages when you make (or refrain from making) any specific investment or other decision. By submitting a Message to a Forum you are granting BP&R Magazine a perpetual, irrevocable, royalty free non-exclusive licence to reproduce, modify, translate, make available, distribute and sub-license the Message in whole or in part, and in any form. This may include personal information such as your user or pen name and your expressions of opinion. BP&R Magazine reserves the right to contact you by e-mail about your use of the Forums. You waive any moral rights that you may have in regard to the Messages you submit. It is not possible for BP&R Magazine to fully and effectively monitor Messages infringement of third-party rights. If you believe that any content infringes your legal rights, you should notify BP&R Magazine immediately using the comment form function on each article. BP&R Magazine respects your privacy. 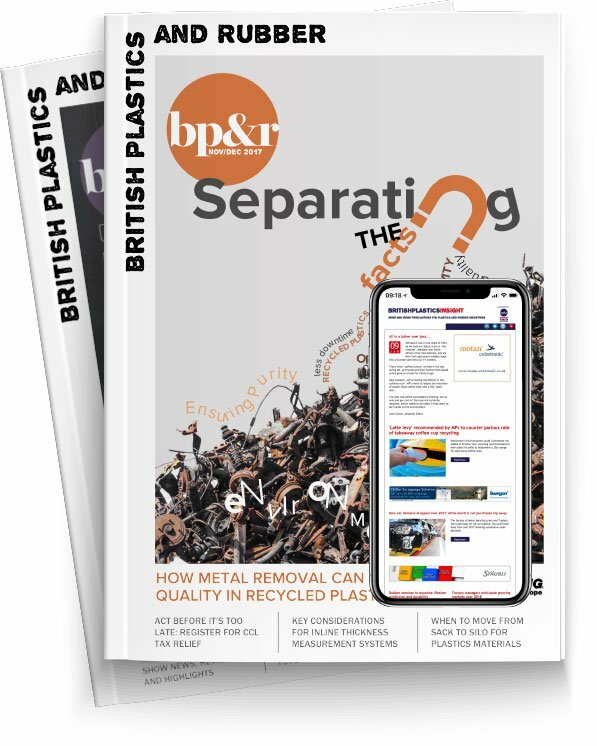 BP&R Magazine reserves the right, in its discretion and at any time, to suspend, change, modify, add or remove portions of BP&R Content available on the Site and/or on a Digital Application at any time and to restrict the use and accessibility of the Site. All BP&R Content and services are provided ‘as is'. You indemnify us. Although we endeavour to ensure the high quality and accuracy of the Site and Digital Applications, BP&R Magazine makes no warranty, express or implied concerning BP&R Content, any Digital Application, the Site or any software that are made available through the Site (the " Services"), which are provided "as is". BP&R Magazine expressly disclaims all warranties, including but not limited to warranties of fitness for a particular purpose and warranties of merchantability. In no event will BP&R Magazine, its affiliates, agents, suppliers or licensors be liable for direct, special, incidental, or consequential damages (including, without limitation, damages for loss of business profits, business interruption, loss of business information or other pecuniary loss) that may arise directly or indirectly from the use of (or failure to use) or reliance on the Services, even if BP&R Magazine has been advised of the possibility that such damages may arise. BP&RMagazine does not guarantee the accuracy, content, or timeliness of the Services or that they are free from viruses or other contaminating or destructive properties. In no event will any liability of BP&R Magazine or its affiliates, agents, suppliers and licensors to you (and/or any third party) that may arise out of any kind of legal claim (whether in contract, tort, or otherwise) in any way connected with the Services or in breach of these Terms by BP&R Magazine exceed the amount, if any, paid by you to BP&R Magazine for the particular Service to which the claim relates. Upon BP&R Magazine's request, you agree to defend, indemnify and hold harmless BP&R Magazine, its affiliates, agents, suppliers and licensors from any claims and expenses, including reasonable legal fees, related to any breach of these Terms by you or your use of any Services. The BP&R Magazine will not be held responsible for circumstances beyond its control. BP&R Magazine, its affiliates and its information providers will not be liable or deemed to be in default for any delay or failure in performance or interruption of the delivery of the BP&R Content that may result directly or indirectly from any cause or circumstance beyond its or their reasonable control, including but not limited to failure of electronic or mechanical equipment or communication lines, telephone or other interconnect problems, computer viruses, unauthorised access, theft, operator errors, severe weather, earthquakes or natural disasters, strikes or other labour problems, wars, or governmental restrictions. Additional Terms apply to your use of BP&R Magazine Content. Changes to these Terms. BP&R Magazine may, in its discretion, change these Terms (including those that relate to your use of the Site, Digital Applications and/or BP&R Content). Whenever the Terms are changed, BP&R Magazine will notify you by e-mail or by publishing the revised terms on the website. If you use the Site and/or a Digital Application after BP&R Magazine has published or notified you of the changes, you are agreeing to be bound by those changes. If you do not agree to be bound by those changes, you should not use the Site or a Digital Application any further after they are published. Access to certain the BP&R Content may be subject to additional terms and conditions. Advertising, Third Party Content and other Web Sites. Parts of the Site and/or Digital Applications may contain advertising or other third party content. Advertisers and other content providers are responsible for ensuring that such material complies with international and national law. BP&R Magazine is not responsible for any third party content or error, or for any omission or inaccuracy in any advertising material. The Site and/or Digital Applications may also contain links to other web sites. The BP&R Magazine is not responsible for the availability of these websites or their content. Assignment of Agreement. This agreement is personal to you and your rights and obligations under these Terms may not be assigned, sub-licensed or otherwise transferred. This agreement may be assigned to a third party by BP&R Magazine. Notices. Notices to BP&R Magazine must be given in writing, by letter, and sent to Carlton House, Sandpiper Way, Chester Business Park, Chester, CH4 9QE (for the attention of the Group CEO). BP&R Magazine may terminate or suspend your access to BP&R Content at any time. BP&R Magazine may, in its discretion, terminate or suspend your access to and/or use of all or part of the Site and/or a Digital Application (including any BP&R Content) with or without cause by delivering notice to you. These rights of termination are in addition to all other rights and remedies available to BP&R Magazine under these Terms or by law. For the exclusive benefit of BP&R Magazine, BP&R Magazine shall also retain the right to bring proceedings as to the substance of the matter in the courts of the country of your residence or, where these Terms are entered into in the course of your trade or profession, the country of your principal place of business.